How to install Docker image? How to install a Docker image? Warning: This functionality is not supported in Plesk installations running on Windows Server 2008 or in Plesk installed inside Docker. Use the search box to find applications in the catalog. 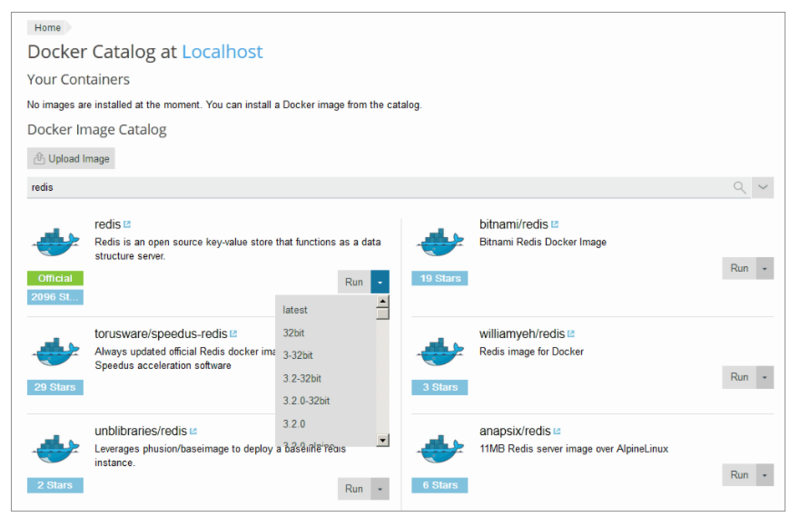 To view the application description and documentation on Docker Hub, click the image name. To run the latest version of the selected application, click Run. Plesk creates a container and prompts you to specify its settings, such as environment variables, and then runs it. After that container appears in the list of containers at the top of the Docker Catalog page.